It’s funny because I had every intention of hanging out with my girl friends, something I almost never do and have almost never done on a regular basis. I do everything with Cameron most weekends, but I wanted to switch it up and also I’m trying really hard to try to have friends. Which is hard to try hard to do as an adult. Because, even though it’s worth it, everything can be a little hard as an adult. But, instead of going to the Santa Con bar crawl with my friends after teaching my morning yoga class, I found myself standing at my kitchen island, listening to Joey Pecoraro and staring out over downtown. I popped the last bite of english muffin with peanut butter into my mouth, turned to the sink full of dishes to my left, and started I started scrubbing and rinsing and wiping and placing and folding and hanging and thinking those deep thoughts that only come when you’re by yourself, doing repetitive physical tasks that don’t require much mental concentration. I spend so much time alone during the week since my roommates are never home and also don’t exist. Even a lot of the time I’m with other people during the week, it’s more of a teacher/student-type setting than a peer-to-peer one. I teach the students in my yoga classes yoga. I (attempt to) teach Morgan and Cooper how to eat string cheese like a normal freaking human good god don’t take another bite out of it you monsters! I look forward to being somewhat social on the weekends. But, instead of the usual group hang at Cam's or group climbing sesh or group whatever, I looked ahead at what I had been begrudging as a lonely hour I’d have to spend cleaning the apartment before I could go meet my friends and decided that maybe an hour or three by myself on a Saturday was something I could just happily choose. As much as I need and love the togetherness, though, I know I have to have the all-by-myself-ness. And I think I need to have it every day, at least a little bit. I need it so I can feel consistent and grounded. So that when I have to leave the group-generated ease of the weekend and hop back into alone, it feels more like a flow and less like I’m dragging my feet through the sand. I had to look up what the next album was because I didn’t know yet. I’m making it a rule to take this project one day at a time. 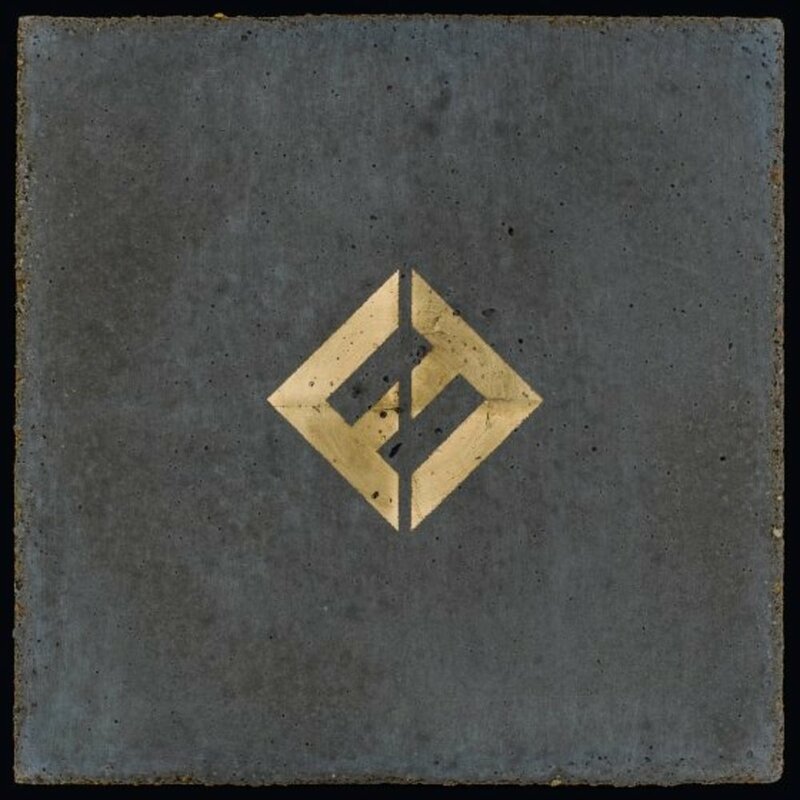 I scrolled past the "Forever" album art to #49: Foo Fighters. Hm. Not sure what to think. I know I’m supposed to like Foo Fighters, and I know I saw Dave Grohl on a street at the 2012 DNC in Charlotte or someone else saw him and told me about it and I’m taking the story on as my own, I honestly don’t remember. I also know they made a cool documentary series about the music scene in a bunch of American cities and I thoroughly enjoyed the episode about the Los Angeles grunge scene. What I don’t know is if I like Foo Fighters music or not. As I’m writing this, I can’t think of a single Foo Fighters song. Drawing a total blank here. So I’m going into "Concrete and Gold" blind, but I feel weird about it because they’re so like massively popular and I'm certain I have a lower than average level of familiarity with the band. I ended up back at Cameron's house later in the day. I still hadn't listened to my album, and I needed to. Cam and I went upstairs to his room to put it on so we wouldn't subject any unsuspecting roommates to a modern rock album on their Saturday evening. Cam had to walk after a few songs. It turns out we don't much like Foo Fighters. I stayed upstairs to finish out the record and sat alone on Cam's bed, staring at the books on his shelf and thinking those deep thoughts that only come when you're by yourself and not particularly engaged in what's playing in the background.